A coalition of nonprofits and grassroots organizations have launched a campaign to bring rent control to Pomona. The group, which formed Pomona United for Stable Housing,or PUSH, is in the process of circulating an initiative and collecting signatures to place on the November ballot a measure which would prevent landlords from excessive rent increases. The group says the initiative is meant to preserve the current stock of affordable housing by protecting renters from sky-high rent hikes and arbitrary evictions. To qualify for the ballot, the petitioners must collect 6,256 signatures by the end of May, Pomona City Clerk Eva Buice said. To ensure they get enough validated signatures, the volunteers want to collect twice as many as needed, said Lee Moonan, who is leading the effort. Nolte drafted the ordinance earlier this year and by the beginning of February, the group was making presentations to nonprofits and organizations, seeking help. The group launched its campaign in earnest three weeks ago and already has numerous volunteers going door-to-door as well as canvassing public places for signatures. While there has been some pushback on social media, Moonan said every one they have encountered has backed their efforts. In addition, PUSH is holding office hours 4 to 5:30 p.m from Monday through Thursday, 1305 W. Holt Ave, No. 105, so voters can learn more about the initiative, sign it or pick up a packet to gather 36 signatures on their own. At one point, Cathy Tessier’s family owned 400 apartment units in south Pomona, but the family sold them about about 25 years ago when the then City Council began discussing rent control, she said. She says it’s no panacea. “You have responsible owners and you have irresponsible owners. Rent control will not solve any tenant problems at all,” Tessier said. 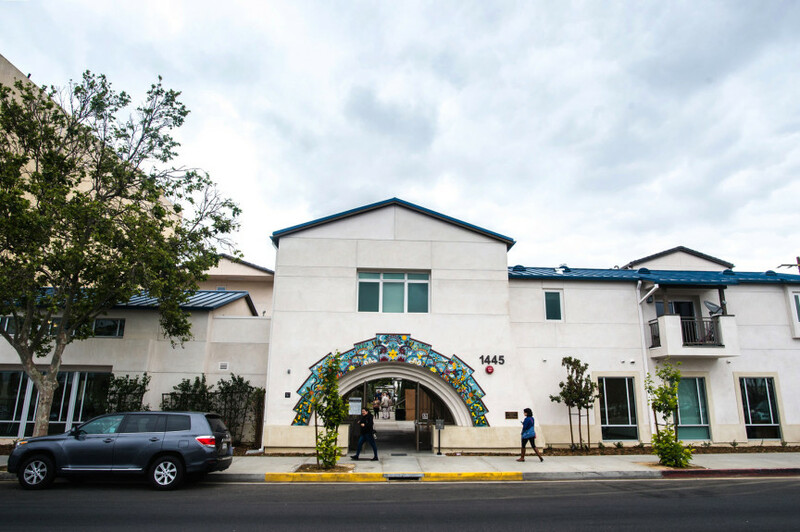 Although she believes there are a few irresponsible owners, implementing a measure that suppresses rent increases would halt development in its track. It also limits property owners from being able to obtain a loan or refinance their properties to fund improvements. “I would leave if someone said I could only raise my rent by 3 percent a year,” she said. The proposed ordinance would create several protections for renters, such as limiting rent hikes to once per year, and ties rent increases to the Consumer Price Index, Nolte said. It also ensures tenants are not harassed, said Nolte, who helped draft the ordinance. A landlord must provide a just reason for an eviction, he added. Nolte said the proposed ordinance would create a Rent Board which would be appointed by the City Council. Any petitions from landlord and tenants would be handled by a professional hearing officer. Those decisions could be appealed to the Rent Board and to the courts, he said. According to the ordinance, the landlords would be charged a fee to fund the administrative components of rent control. Nolte said the rising rents are having an adverse effect on the quality of life for Pomona residents. It’s also disrupting the character of the city, he said, as? longtime Pomona residents are being displaced by the rising housing costs, causing them to live with multiple families in single units. One important component of the proposed initiative would allow the tenant to petition for rent decreases when landlords do not provide habitable living conditions, he said. “Slum conditions are an epidemic in Pomona. When I first came to Pomona 14 years, out of law school, it was to sue landlords slum and back then the conditions were horrible, and they are horrible now,” he said. That is what got Pomona resident Yesenia Miranda Meza involved with PUSH. In September, she received a notice from her new landlord stating that her rent would be increasing by $200 a month, starting Dec. 1. She soon learned all of the tenants in the 24-unit complex similarly had been put on notice. The rent bumps ranged from $200 to $300, she said. She had been living in her apartment for seven years and she acknowledges she wasn’t financially prepared for the increase, but she also didn’t think her living conditions warranted the increase. “I’m an advocate and activist and work closely with the community of Pomona. I thought, ‘They can’t be able to do this, there has to be some law,’” she recalled. As she sought resources within the city that could protect tenants, Meza came up nearly empty-handed. “This is a statewide issue. It’s a crisis,” she said. Slowly, she began to connect with Benjamin Wood, an activist and organizer with Pomona Economic Opportunity Center, and Nolte, whom she knew personally. The group formed Pomona United for Stable Housing. “All these cities were working on rent control. Why can’t we do it? Why can’t we try it?” Meza said. As for her personal situation, Meza was able to get a nonprofit legal firm to represent her and three other tenants. The only law she found that worked on their side required a landlord make improvements to the units so that they are compatible with housing laws. The landlord ultimately agreed to make the necessary improvements and both sides agreed to $100 a month increase. “We never not wanted to pay the $200, we wanted to make sure we were in good living conditions,” she said. But the whole ordeal made Meza realize more needed to be done to give tenants a fair process. “I want to help people in a similar situation,” she said.